Brands connect to the consumer’s states of mind Brands are shifting from respondi..
Category searches for ways to use its rich data troves The telco category is massively ..
Brands must engage with new consumers about transition plans The energy transition cont..
Amazon, Alibaba invest in new ways to engage shoppers Retail has always been a capital-..
Brands navigate steep mobility learning curve The focus on the future of mobility hasn&.. Under pressure, category still sells enormous volume In understanding the category, mar.. Societal disruptions create opportunities for insurance brands Businesses and individua..
Competition sends brands back to basics There’s been a return to basics. McDonald..
Brands balance scarcity with need to reach millennials The luxury market overall is cha..
Majors respond as craft disrupts premium sector A few years ago, the big breweries were..
Disruptors bring affordable tech whilst leaders humanize their communications Ease..
Young consumers seek brands that make them feel special by Katerina Sudit Managin..
Today’s consumers vote their mind with politics, society and brands ..
Their success is critical to drive brand value and world vitality By Hari Ramanathan..
Countries seem like a broad, outdated marketing lens Claire Holden Managing Direc.. Even more than the digital experience, control the data to keep and control the customer relation.. Marketers must be prepared for expected brand disruption Sara Gourlay Global Prac..
Purpose will guide organizations, with diversity fully expressed by Wayne Pan Sen..
Brands must shift from customer- centricity to customer obsession Tim Pritchard M..
Changes will affect how consumers shop and interact with brands by Ray Gaul Vice .. Sustaining scale over time depends on brand building Mark Chamberlain Sector Mana.. Adaptation and innovation frees brands from old business models Aisling Ryan Chie..
Changing landscape requires harnessing data, technology by Jonathan Dodd Global C.. Initiatives can be risky and controversial, but social media leaves no place to hide ..
Brands need to consider better store layout and packaging design Fiona Gordon Gro..
Getting it right requires integrated strategy, research, and measurement By Doreen W..
BrandZ™ analyzes implications for categories A new BrandZ™ Index called Vit..
As disruption spans categories, some brands counter the trend Retail and technology .. Despite technological disruption, retail scores high in key metrics Retail is the ca..
Major brands position to play hard across channels It was the year of trading places. 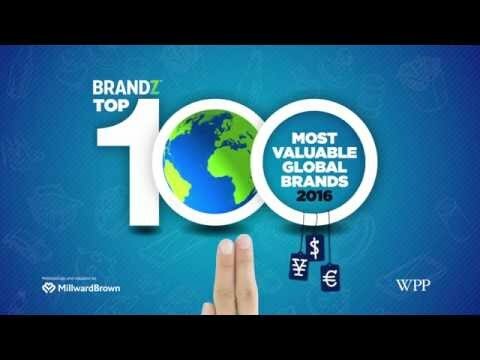 A..
Strong values can endure severe market change by Stephen Wallace European Brand P..
Super-luxury brands drive value increase The BrandZ™ Luxury Top 10 increased 7.. Messages communicate availability and inclusiveness With the steady improvement of the..
As the category consolidates, it also fragments with craft brewers It was the year of t..
Financial services disruptions alter distribution of value Changes to the fina..
Marketing and technology initiatives aim at millennials In a strong comeback, the Brand..
FinTech competition, consumer expectations will shape the future Strong stock market pe..
Brands revise retail strategies and distribution models Two category growth drivers, sp.. Innovative sportswear brands drive value rise Sportswear brands drove BrandZ™ ..
Acquisition and collaboration pools expertise Business-to- Business (B2B) brands conten..
Technology leads every category in Vital Signs The BrandZ™ Vital Signs results..
B2C and B2B brands collaborate to deliver the future A 13 percent rise in value made te..
Health concerns weaken category’s Vital Signs The BrandZ™ Vital Signs of..
Water outsells colas for the first time For the first time, bottled water outsold colas..
Purposeful brands grow category value in Asia BrandZ™ Vital Signs clearly diag..
Brands seek new ways to build consumer trust Insurance brands attempted to become trust.. Despite health concerns, Purpose and Love drive growth The fast food cat.. But digital innovation powers new initiatives Fast food brands returned to basics, impr..
Top 10 ranking shifts to luxury Over the past 12 years, the brand value of the Brand.. Experiments include all aspects of future mobility Carmakers faced reality. Consumers p.. Multinationals drive value, but nationals inspire Love The oil and gas brands score ..
Brands engineer some profits, despite low oil prices Even in normal times, oil and gas .. Challenger brands shift the conversation to price It was a year of action. With mergers..
High Brand Purpose shapes personal care Of the five BrandZ™ Vital Signs, the P.. Mobile ads push customers from shopping to buying In a commoditized category filled wit.. Size matters in transition from pipe to content brand Size matters in the telecom pr..
New BrandZ™Vital Signs Index diagnoses brand health North American brands—.. Since Brand Power is important as a driver of sales and brand value, the logical question is, what d.. 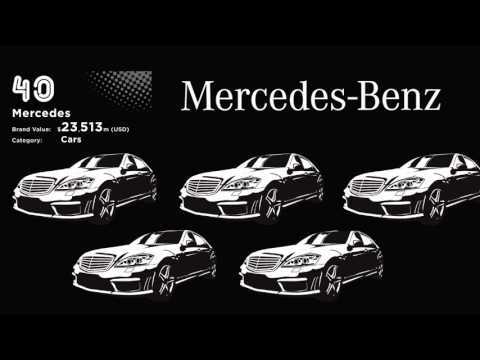 Brand Power is the BrandZ™ metric of brand equity, the predisposition the consumer’s min.. The connection between maximizing price potential and accelerating value growth raised an obvious qu..
Brands are important to consumers. To find out how important, we analyzed almost 5,350 brands across.. Categories reflect Global 100 growth trend Five of the newcomers to the BrandZ™&n..
And adds stability in disruptive markets Brand Contribution is the BrandZ™ metric..
One of the most striking differences between business-to-business (B2B) and business-to-consumer (B2..
Business brands adopt consumer brand-building skills The distinction between business-t..
Young and purpose driven, they reshape categories The BrandZ™ Top 100 Most Valuab.. But disintermediation sits on the horizon Divining the future of brands, always an impr..
Communications drive brand value increase The BrandZ™ Beer Top 10 grew 188 perce..
Consumers expect socially responsible brand point of view Brands in all categories need..
Consumers adjustshopping strategies Russian brands benefit from frugal behavior Russian co.. Proliferation of mobilefacilitates market entry But local competition, media fragmentation add ..
Economic and politicalforces hurt brand value Mexico increases contribution to Latam Top 50&nbs..
China increasingly looks abroad,brands find greater acceptance Government balances need for cha.. Globalization, localizationimpact how Indians shop Government vision jolts the economy Two..
Purpose-led brands resonate with their audiences, including employees Candace Kuss ..
As the category consolidates, it also fragments with craft brewers It was the..